"Ballerinas Should Control Selves to Be Great"
Korea may never come to one's mind when one thinks of ballet or ballerinas. People normally associate Europe or Russia with the classic art of ballet. Yet, the Japanese born Korean ballerina devoted her 40-something years of life to ballet, becoming Korea's most famous and world's one of the prima donna ballerinas. 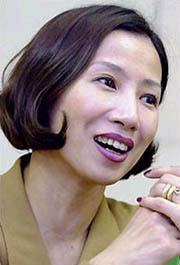 At the age of 36, Choi Tae-Ji surprised people in 1996 when she became the youngest ever director of the Korea National Ballet Company. Critiques agreed that after she took the helm, she lifted the level of the National Ballet all the way to the one of world's top-class ballet troupes. She succeeded in transforming herself from a top ballerina to an administrator of art. Today, she is mixing her professional experience as ballerina and ballet administrator with Korea's traditional art and performances as the chief of Chongdong Theater. Now as the mother of two grown-up girls, Choi still looks fit and beautiful as any ballerina. She recently gave an interview with The Seoul Times recounting rare stories about her duties as Chongdong Theater director, her transformation from ballerina to art administrator, and how she rose as one of the top ballerinas and theater directors. She also spoke about her life in Japan. Here are the questions and answers of her tale she has seldom told anyone. 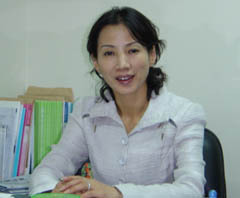 Question: Sincere congratulations on your inauguration as general director of Chongdong Theater (Korea's premiere theater) as the first ever woman to head the national or public theater in the country, What are some advantages and disadvantages of being the first woman CEO? Answer: Thank you very much for your kind comments. I was surprised myself when I received the appointment from the Ministry of Culture and Tourism. I would also like to thank the ministry for appointing me as chief of Chongdong Theater. From 1987 to 2001 I have done my best for the nation as a ballerina of the Korean National Ballet Company, which belongs to the Culture Ministry. Now I am really thankful to the ministry and our people for a chance to serve at Chongdong Theater. Although I served as director of the Korea National Ballet Company for two years, I still feel that I need to study a lot as a person in charge of running the Chongdong Theater. I will try to be a more responsible director. Question: Chongdong Theater will mark its 10 year anniversary in 2005. During the past nine years the theater has secured its position as the most representative or most well-known theater showing Korea's traditional performances to foreigners. Do you have plans to further develop programs for foreigners, particularly programs for observing the 10th anniversary? Answer: Barely three months have passed since I came to the theater. I am still studying how I can reorganize the theater and better run it. I hold frequent discussions with my staff for these goals. I was quite impressed by the foreigners' interest in our programs for traditional performances. We draw much more foreigners than The National Center for Korean Traditional Performing Arts, which also offers traditional performances. I would like to bolster the programs further during my tenure to promote Korea's culture to the world. We are planning special programs and events for our 10 year anniversary. I cannot specify about them at this point, but they will be planned and displayed in a way that all foreign and domestic spectators will be satisfied. Also, in the future we will actively exchange programs and events with other theaters and art troupes overseas, forming and cementing ties with them. About a dozen times per year we go out for overseas performances. Recently, we performed in Morocco, Libya, Las Vegas, and Los Angeles. Although overseas performances are normally supported by the government, in some cases we were requested for a performance by others in foreign countries. Now, I am planning a major event for next year, which will be "Korea-Japan Friendship Year 2005," as well as our 10th anniversary. Question: Which programs are most popular among foreign spectators? What are the programs for Korean people? Is there any programs for youngsters? Answer: In a world of globalization, programs for Korean people can be equally enjoyable for foreigners as well. For example, "nongaknori" or farmer's dance (music) is the one in which both Koreans and foreigners can dance shoulder to shoulder with the performers. "Traditional art stage" is available everyday all year round for foreign tourists who are not yet familiar with Korean culture. Also, we have various programs for Korean adults as well as children. Among them is a day-time "Korean culture special," which caters to adolescents who want to go through a one-day Korean (traditional and modern) culture program, which comprises a musical, drama, traditional performance, and ballet. Question: At the age of 36 in 1996 you rose to the post of director of the Korea National Ballet Company and transformed it into one of the world's major ballet companies within six years (according to Korean media's appraisal). During the years, what were the most difficult things you experienced and when was the most memorable event? Answer: As chief of the National Ballet I had to talk with my staff. But as you are aware, I was born and raised in Japan. I had a huge difficulty in communicating with them in the Korean language every time I tried to instruct them. Back in 1987 when I first came to Korea I was not able to speak Korean at all. Working as a ballerina was alright because I did not have to talk but dance. Luckily, a lot of people around me understood my situation and helped me perform my duty as the National Ballet director. It was in 2002 when I felt most proud of my role as National Ballet director. We staged Yuri Grigorovich's "Spartacus" at Seoul Arts Center to commemorate the National Ballet's 101st regular performance. My artistic staff was excellent on stage and it was a most unforgettable moment. I felt really happy about it. 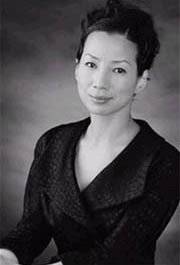 Question: People say that you have been very successful both as a ballerina and arts administrator. What are some of the differences between the two roles? Could you give some advice to younger ballerinas? Answer: As a ballerina I had to deal all the time with myself. I mean I had to fight against myself. But as art administrator I have to deal with others, because I need to cooperate with others. The life span of a ballerina is very brief. Normally, ballerinas have to retire from the stage between the age of 35 and 40. As soon as they stop working as a ballerina or ballerino, they have to completely forget about all the accolades and pomps of the stage. Instead, they should control and change their mind in order to become leaders and administrators. For this, they have to stop thinking about their past. Question: You served as principal dancer of the Korea National Ballet Company as many as 14 years before you became its director. You are also serving as a committee member of other world-class foreign dance troupes. What, do you think, is most needed for Korean ballet to catch up with so called world's top of the line ballet groups? Answer: We have come a long way within a relatively short period of time in the past 50 years. In Europe, ballet troupes boast over 300 years of history. We need to have more exchanges with them through which we have to learn a lot. Spectators, on their part, need to improve their level as well. Actually, the promotion and development of Korean ballet requires lots of financial support from the government and other public sectors. Russia, as a top ballet nation owes its current fame to the generous support of its past monarchy. Louis XIV of France was so deeply interested in ballet that he established a ballet school. In Europe, ballet troupes get support not only from the states but also from business corporations. Question: As the National Theater director you once experimented with "Ballet with Commentary" in your effort to familiarize the audience with classic ballet which was welcomed by the audience. What was it and why did you do that? Answer: When I took the rein of the National Ballet, people around me complained a lot about the lack of professionalism on the part of the ballet staff. They grumbled that ballerinas and ballerinos failed to control themselves and thus were in dire need to be on a diet. But I thought it was not all their fault. They did not have enough chances to be on stage. The limited stages were available for only a few fixed prima donnas. So, I decided to secure more stage chances for my staff. "Ballet with Commentary" was one of the programs for that purport. "Ballet with Commentary" was designed for a small theater, which does not require a large amount of budget. It gave my staff a lot more opportunities to express themselves. The program drew a large number of crowds and all the tickets were sold out before the start of the performance. Particularly, it made the audience understand ballet because of simultaneous explanation of the performance. Question: Perhaps several good programs are now on your mind regarding how to lead Chongdong Theater. But would you pinpoint only one goal you sure want to carry out during your tenure? Answer: My top priority is to attract many spectators who really want to enjoy performances only at Chongdong Theater. For this goal I will increase the level of our performances. I also would like to diversify our programs to cater to the tastes of our foreign audiences. For one thing, this October, we plan to invite some 400 foreign diplomats and their family members for a special performance and reception. Ambassadors and their wives will first be invited. Chongdong Theater will stage performances by world-renowned art troupes at least every two years in our efforts to introduce traditional performances of other countries to Korean people. For this we will form sister relations with foreign art troupes. We will also open a three or six-month class on Korea's traditional music and dance for foreigners. The old facilities of our theater will also be renovated to better serve our audience during my tenure. 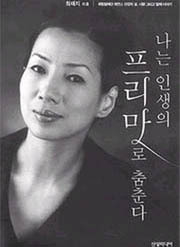 Question: You have reined for nearly two decades as one of the best known prima donna ballerina in South Korea. What is the name of the ballet that you liked the most and why? Answer: Frankly, I loved almost all the ballet works I have played in. Yet, I have never had a chance to perform in Giselle. Often, I think that how would it be for me to play in Giselle. Question: As aforementioned, you were born and grew up in Japan. As a Japanese-Korean, we believe that you suffered from difficulties and discriminations. When was the most difficult time? Would you also tell our Seoul Times readers about your family members and what they do? Answer: As is well known, I was born and raised up in Japan. After graduating from college in Japan I went to Paris and New York for advanced study in ballet. In 1987 I came to Seoul for a ballerina position in the Korea National Ballet Company. Soon I was promoted to ballet master and then finally became director and then artistic director. Currently I am serving as general director of Chongdong Theater. Discrimination against jaeilgyopo or Koreans living in Japan was severe when I was young in Japan. The anti-jaeilgyopo sentiment among Japanese were particularly strong in the 1960s. To tell you the truth, back then I did not know that I was Korean. As a child I was using a Japanese name. Yet, luckily I was not discriminated against or abused as I grew up. My first discrimination case came by the time I graduated from college. I was one of the two fortunate Japanese students chosen throughout the whole of Japan to receive a scholarship from the Japan Foundation. I was disqualified soon after my origin as jaeilgyopo was revealed. Unable to sleep because of the extremely unfair experience, I devoted myself even harder to ballet than before. My father is in Japan doing business. My mother passed away last month. She had been struggling with her illness. She did her best to make me who I am today. I believe that my position of general director at Chongdong Theater was given to me as the last present from my mother. Not only my mother but also my father was a great help for me in my path to ballerina. When I was in college I thought about quitting as ballet student. My dad used to tell me "You may earn money quick but artist (ballerina) takes the whole life." I always carry what he said deep in my heart. I have two daughters between my former husband. The older one is a university student attending a ballet school in Canada. My second one is a high school student in Seoul.